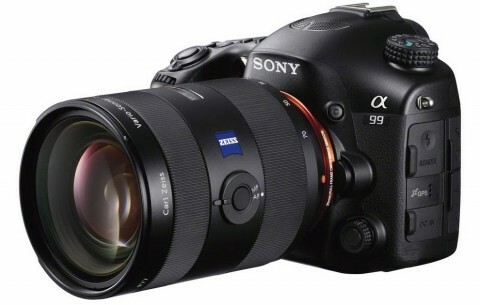 The Sony Alpha a99 is a premium 35mm full frame single lens translucent (SLT) camera, and it is first camera with this technology (SLT), so that the a99 carries the indicativ DSLT (Digital Single Lens Translucent), which replaces DSLR. The SLT technology means that instead of having a mirror that flips up to enable the exposure to take place, the camera has a fixed translucent mirror that allows 70% of the light reaching it to pass through the image sensor, and 30% of the light is reflected to AF sensor. The Sony Alpha a99 comes with a 24.3 MP full-frame (24 x 36 mm) EXMOR CMOS sensor and has a great image quality and low-light sensitivity. 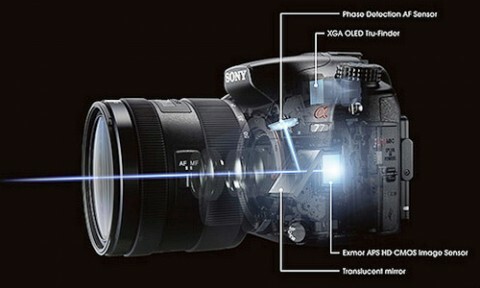 The BIONZ Image Processor allows to record images at 6 fps in continuous shooting mode. 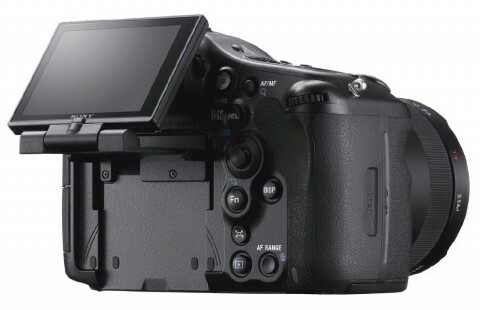 Other key features of Sony a99 include Dual AF system with a 19-point sensor and 102-point focal plane phase detection sensor, an ISO range of 50 – 25600, Full HD 1080p progressive movie shooting with non-stop continuous AF and stereo sound, an OLED Tru-Finder with 100% coverage EVF, a three-way tiltable LCD screen, built-in GPS and the unique Multi Control Dial on the front of the camera (taht allows adjust photo, video or audio settings without producing audible click or vibrations while recording). The Sony a99 has an weather-resistant magnesium alloy body and a Sensor Cleaning integrated system. 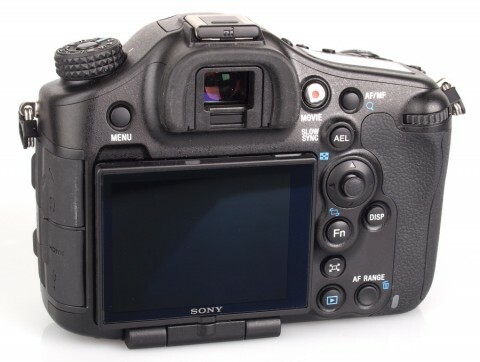 Also present on this camera is the Sony’s SteadyShot technology for image stabilization, that is compatible with any Sony Alpha lens. 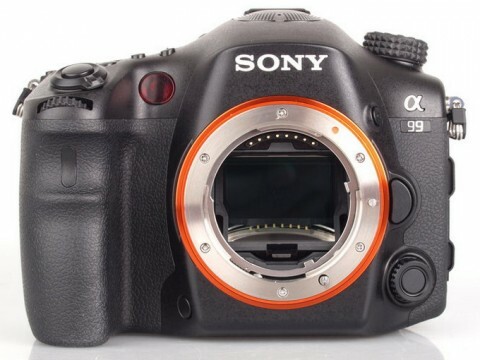 The Sony a99 has a body that uses a combination of magnesium alloy and engineering plastic, and it is sealed against dust and moisture. More about this you can read on whatdigitalcamera.com website. 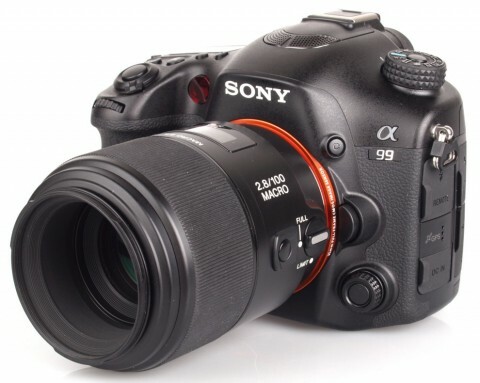 There’s a lot to like in the Sony SLT-A99. It’s a camera that combines very good image quality with a high degree of camera customization and an ergonomically well-designed control layout. It incorporates all of Sony’s recent technology advances in both stills and video performance. 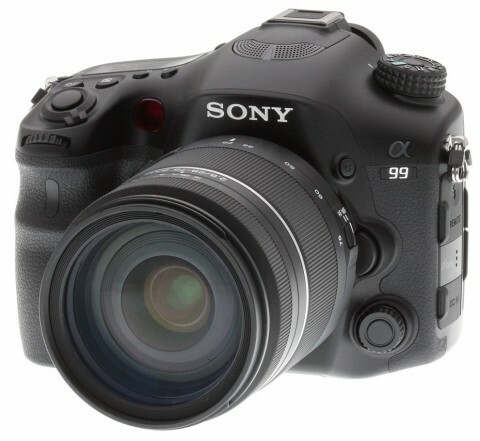 A900 users who’ve patiently waited for an upgrade and are amenable to using an EVF will be hard-pressed to find much fault with the A99, as it represents a significant step forward in just about every respect other than output resolution. There’s no question that video is becoming an increasingly important feature for DSLR-style cameras. 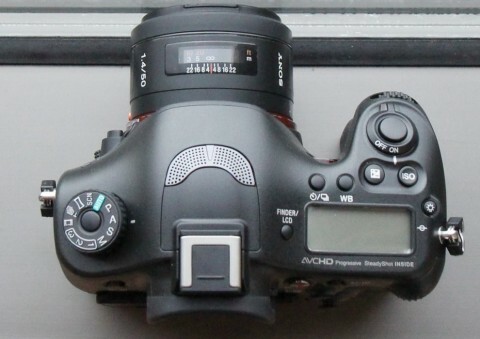 Sony’s DSLT design makes the new Alpha cameras more suited to video shooting than more traditional cameras with a reflex mirror. The Sony A99 remains one of the best new cameras we’ve seen this year. It shows that the new perspectives being brought to photography by the likes of traditional electronics companies are having a positive effect on the progression of photographic technology. A lot of features, performance and comparisons of a99 with other premium digital cameras you can find on Pocket-lint website.